Since the mid 2000s the surf industry worldwide has been in a state of never-ending flux. New brands rise up, old mainstays melt into insignificance, and whilst this volatility makes little to no difference to the lives of the average surfer, it does have a significant bearing on the small group of younglings aspiring to make surfing their profession. 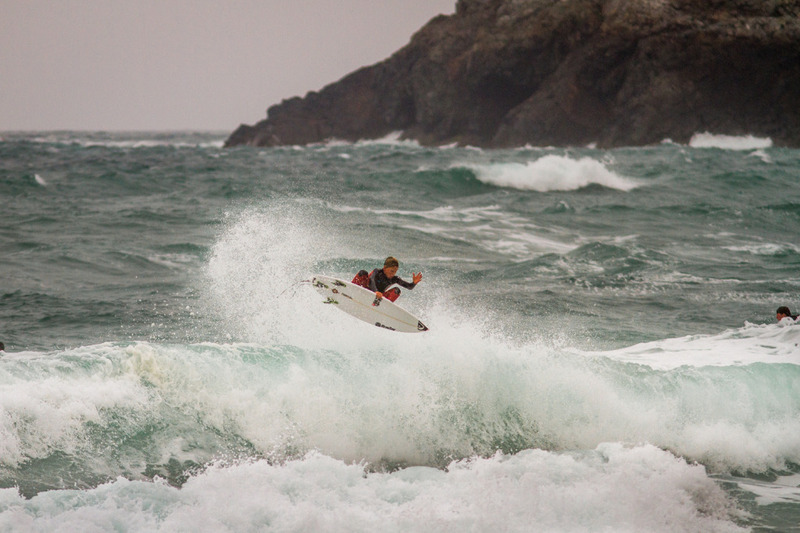 The effects are particularly felt in some of the smaller surf markets such as our own here in Blighty, where sponsorship money has become especially sparse. At just nine years old, Lucas Skinner is already showing signs of a becoming a top level surfer. 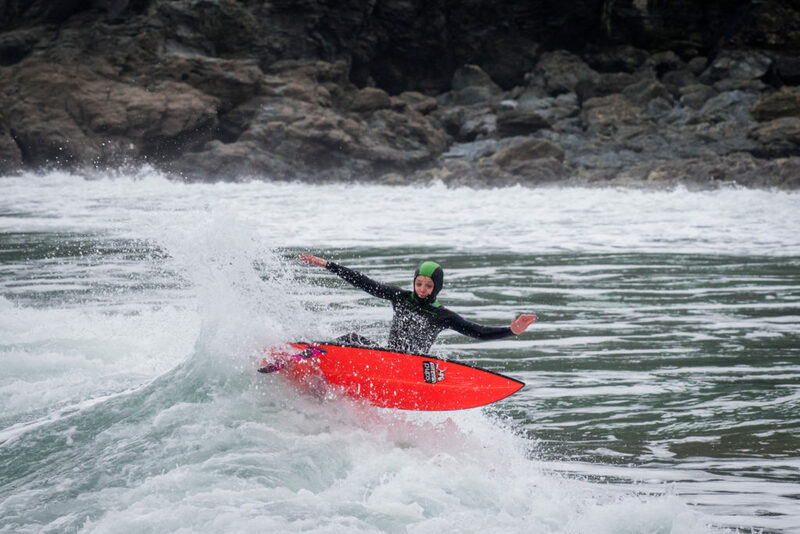 Of course having one of the UK’s best all round waterman as your Dad helps, but Lucas has a trio of stoke, determination and fearlessness which sees him constantly progressing of his own accord. A formidable skater (Lucas dropped the vert at Mount Hawke when he was just six), you can see the influence in his surfing, however, he’s also got the basis for a solid rail game, and is always hunting for the barrel. Like Lucas, 10-year-old Gabe possess ability far beyond his years. Also like Lucas, Gabe hails from a fine surf pedigree; his Dad, Wazza, was British champ back in ’98 and his uncle, Gadge, was also a pro surfer and cover star of Wavelength back in the day. Already solid on rail and able to add that little point of difference to his turns, Gabe took out the U12s division at The English Nations and with good backing already, we’re excited to see what the young kid from Newquay can achieve. You’ve probably heard of Stan Norman by now, as the young ripper from Bude is touted far and wide as the next big thing in British surfing. Both in and out of the contest vest Stan looks razor-sharp, particularly when going top to bottom on his forehand. Along with his surfing prowess, Stan is already pretty media savvy too, having dropped an eponymous film at the end of last year, and edits from Hawaii and Portugal at the beginning of this one. With a group of good surfing role models, including The Ash Brothers and Jobe Harriss sharing his local breaks, if he keep up his current lightning rate of progression Stan looks set to be a force to be reckoned with in the years to come. 14-year-old Noah Capps hails from the sleepy seaside town of Bantham in South Devon, which although is a little less consistent than its north coast counterpart, is equally peppered with good set ups. As such the area is renowned for producing underground rippers, such as the Smith brothers and Matz Ginman-Trout, and like many on this list Noah’s Dad also surfs to a high level and competed on the UK tour back in the day. Noah’s already been noted widely for his consistency in comps, a trait that saw him take victory earlier this year in the U16s at the English Nationals. His repertoire of manoeuvres, the way he reads the section and fits in his turns also point to Noah having a bright future as a competitive surfer. 15-year-old Newquay boy Sol Hawkins is as an avid and talented skater and has no trouble bringing the pop and flare across into his surfing, already developing a wide ranging bag of tricks, including airs and technical fin wafts, on both his front and backside. It is perhaps also his love of skating that sees him adopt the necessary repetitive work rate when it comes to developing his air game – an approach that has seen Sol nail some of the best air clips in his age category. After each experience in foreign and more powerful waves Sol’s technique and the well roundedness of his overall approach improve and we look forward to seeing much more from him, particularly in a free surfing capacity, in the future. 16-year-old Barnaby Cox is the oldest on our list and undoubtedly one of the most exciting names in his age category. Like Stan he’s from Bude and has grown up watching some of the best surfers in Britain. Highlights in Barnaby’s surfing include his forehand carve, his barrel riding and his ever-developing air game. He’s super stylish, has a good amount of tweak and is also continually pushing himself in barrels and bigger waves. Barnaby has performed well in local competitions and is now looking to transition onto the Pro Junior series.